We have deep Georgia roots and we are proud to be a part of Downtown Historic Kennesaw. Supporting our local charities, businesses, schools and people is an important part of how we do things. Oh, I almost forgot... we love beer! Barbecue is in our blood! Can't wait to see you! The food didn’t have much flavor . We ordered several different items and all of us were less than impressed. 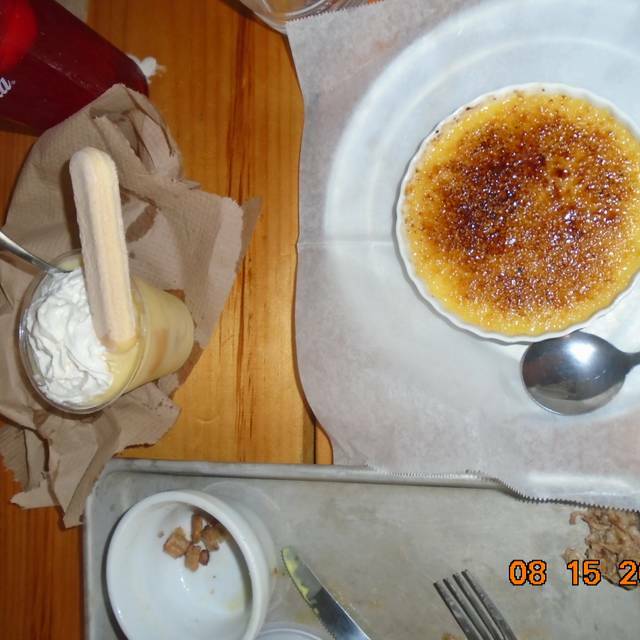 Wanted the banana pudding but they did not have it that night. My husband ordered ribs and was not asked if wanted any sides. The brisket tacos were bland and the mixed greens did not pair well as a topping in the taco. We tried all the sauces. I think this place is best for the many choices of beer they offered which was an extensive list. Maybe they had an off night. We were a party of 6 and all of us had extremely dry meat. The brisket was ok in regards to dryness but not a lot of Smokey flavor. The chicken, ribs, and pulled pork was dry. Chicken wings were mixed. The collard greens were delish as were the pork rinds. The mac n’ cheese not inspiring. We were in town from NY and wanted good BBQ. 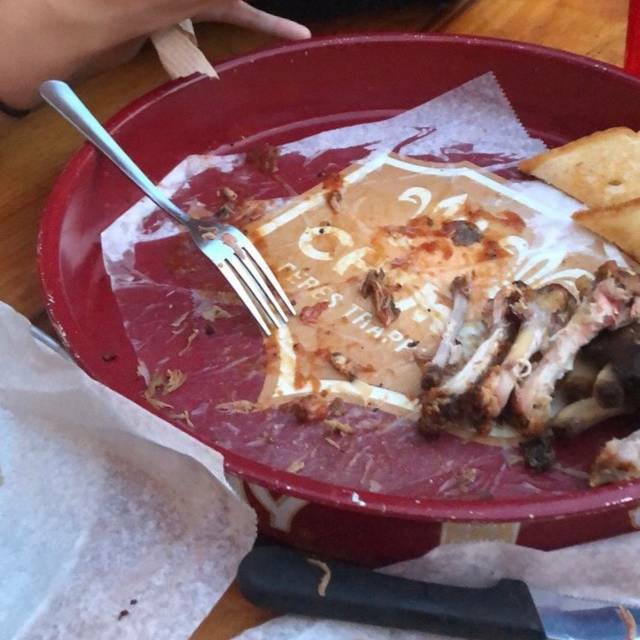 Unfortunately, The Nest fell short in-spite of being rated the best BBQ. Ran out of several food items and it took over 40 minutes to get our food. The worst $60 spent. Half the food was over cooked other half under cooked. Host was rude. The staff was very friendly and helpful. Food was just okay, but if you really love BarBQ you may enjoy more than I did. Atmosphere was fun, old south in what seems to be a historic building. Great beer selection. We had a great first visit to this unique little find. I had the barbecue pork plat with Mac n cheese and baked beans. Sides were incredibly well done. Pork was very good (loved the spicy sauce). My wife had nachos and they were very good. We shared chicken egg rolls with our friends and they were terrific. Atmosphere is very laid back...we would visit the bar side next time we go for a little more liveliness. Beer selection is excellent...a great variety of craft beers. We will definitely be back. The food was amazing, and the service was very good. Staff was friendly, and they were able to seat a large party, containing many children, very well, and in an area where we could feel relaxed while we ate. While we enjoyed the setting, the food, and the service, our meal was plagued by gnats. I'm afraid we won't be returning unless the weather permits outdoor seating. Good food good service and beer menu is extensive. Only complaint I have is the place was swarming with gnats which was annoying and took away from the experience. Great BBQ place and/or a Great place to grab drinks with friends and eat some great comfort food!!! The half order of Nachos is amazing! I tried three tacos and was delicious! Will be regulars! The Nest was great! Southern barbecue type food and it was delicious. I grew up in Georgia and The Nest very well represents the South. No Brisket and not communicated until we ordered. All 6 of us came for the brisket. Food and service were wonderful, highly recommend! I’ve been here more than 25 times. Worst experience so far. Beer menu had 10 tapped out stamps and then the beers we ordered had kicked. The server said she thought there were more that were tapped but didn’t know for sure and didn’t offer to find out. Very disappointing for a place I recommend and frequent. Also please work on the fly problem. We were recommended to this restaurant by a friend and we were very pleasantly surprised. We live near by, go into downtown Kennesaw a great deal but did not know that the restaurant was here. We enjoyed it so much we came back with a group of friends. On a very hot day we sat outside but with the mesh shading and the misting fans blowing, we did not feel the least bit hot. It was very pleasant to sit outside and enjoy a great meal. My friend and I went here because it was late, we just got back from a 3 hour trip, and wanted some good food and we were not disappointed. Our waitress was so sweet and honestly amazing. We got the Whole Farm and 2 banana puddings and it was so good we ate it all. Overall, it was just an amazing time all together. Always a good meal and beer selection. Great little local eatery! Love the pulled pork tacos and pimento cheese and chicken egg rolls. I like that you can order single tacos. I’ve tried them all! Service was slow to get drinks and refills. Wings were wonderful. Off the Brayan path, local. Authentic BBQ. Great beer selection. This is a place you should visit. Awesome restaurant! Everything we had was very good. 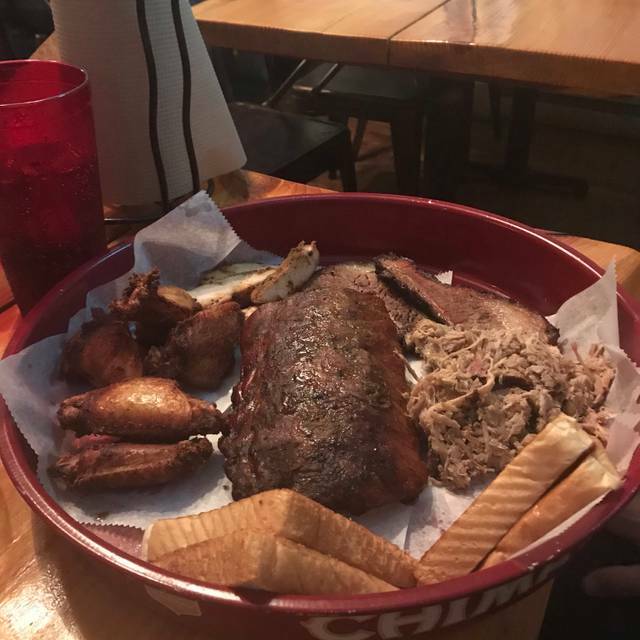 My wife and I shared the big bbq platter that had ribs, brisket, pulled pork and chicken wings. We consider ourselves bbq aficionados as we were happy with everything. My daughter's sandwiches didn't have a chance! We will go again..
That place was so disappointed. Even we had reservation, stuff (two girls)gave us service so rude and disrespectful. They didn't set up the table we preferred by the window, had to wait 15min and not vy the window,next to toilet. Finally set the table but they never came to get an order even they didn't give us glasses of water. The place wasn't busy at all, but food came o the table too late, waitress was bad behaviour.We will never be back for sure. All was great except it was too loud in the room to the right . Great environment and great food. I was pleasantly surprised! I enjoyed my meal at The Nest the queso and smoked wings are things you must try! Ribs were dry... brisket was very fatty... deviled eggs were rubbery. Service was lackluster... noted “Special Occasion” in the reservation, and there was no recognition. Date night lasted 45 minutes. Dinner out before appetizers were barely started. Very disappointing. The pork rinds are awesome! Simply the best brisket and ribs. Good every single time! 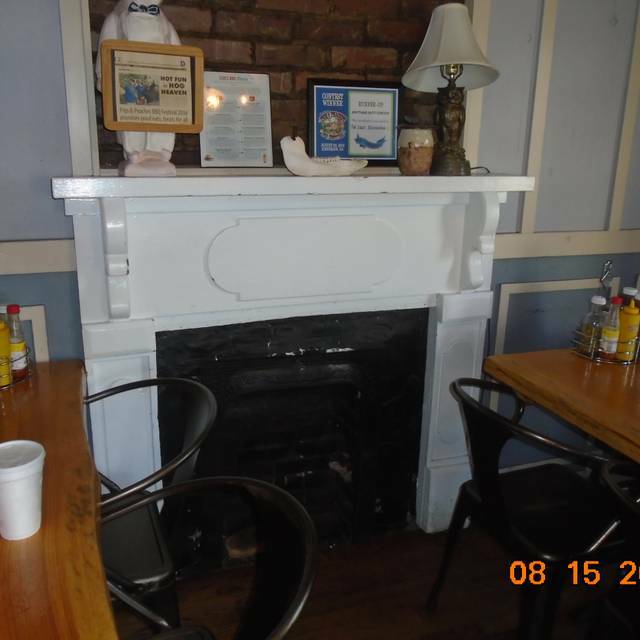 The Nest is a quaint little restaurant. It was too cold for outside seating but I am sure that would be a great choice if it was warmer. Food was really good. We will definitely go back! It is a great location for Happy Hour after work. The beer selection is excellent and the appetizers are good, especially the pork rinds. However, this trip was for lunch and I was not impressed. I had the pulled pork plate and tried all the barbeque sauces. None of them had much flavor. Found this for a last minute get together and couldn’t have been better! Will definitely go back just to eat and hang out. Especially in warmer months great outdoor seating and in general one of my ATL favorites!! It was okay. I was hoping for delicious! Food was great. Service was good. Restaurant was more casual than I thought it would be. This is a barbecue place with paper towels and metal plates. Good beer selection. Outside bar seating area looks like it would be fun but raining when we were there. I was very happy that their handicap parking wasn't something thrown together like many restaurants in the area. I loved the ramp up and the option to take steps if needed. The deck was convenient and very well maintained. I didn't explore the inside of the restaurant, and I should have but that will be for another day. They were very quick with a response to my DM via Yelp and that to me shows attention to detail. I guess my only gripe were the multiple dogs hanging out with their owner's. I understand its outside on the deck, but its a restaurant, not a kennel or your friend's house. If they aren't Service Animals, then leave them at home. I will definitely be back but it will probably be at a different time.